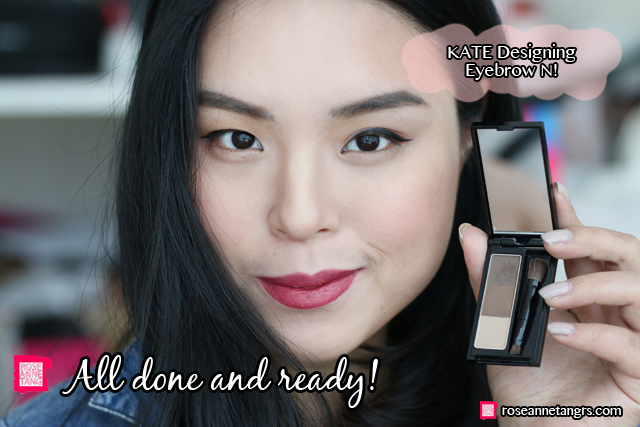 Brow Powder Tutorial with KATE Designing Eyebrow N Set! Eyebrows are the secret to framing your face and are so important because they have the ability to age you or make you look younger! With so many brow products from pencil to gels, it can be hard to find the best product for you. For me, my favourite brow products are either pencils or powder but if I want to look really natural, I’ll use a brow powder. 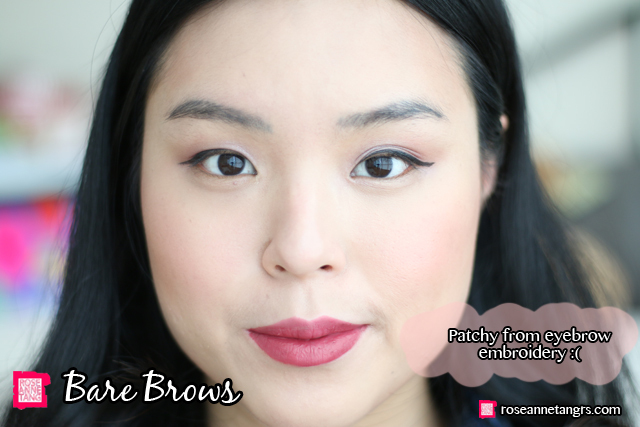 One that I’ve been liking recently is the KATE Designing Eyebrow N and in this post, I thought I would show you how I do my brows on a daily basis. These are my unfortunately unruly eyebrows – with scars of a past eyebrow embroidery experience that still won’t fade. It’s patchy and squirmy and probably in need of a trim. Well that’s what make-up is for I guess! Let’s see how we can transform them! 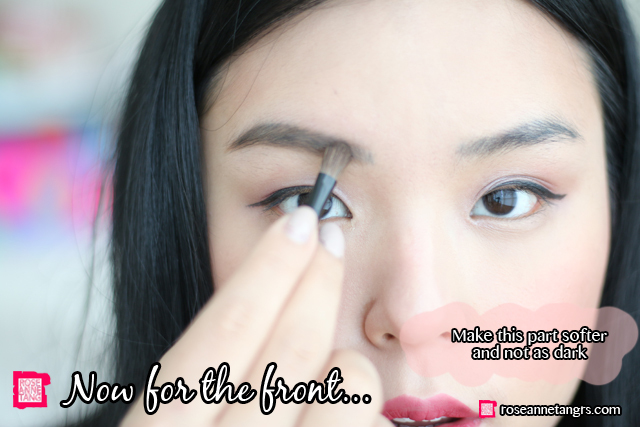 Step 1 is to take some of the brow powder in the brush provided. According to my hair color, I like to mix and match shades to suit me. Typically, you should look for a shade that is 2 or 3 shades lighter than your hair color. Because my hair is black, I’ll go for something like a dark brown. The perfect eyebrow is one that is clean at it’s base and is darker towards the end than the front. Starting just short of the front, I draw a clean line to the end or tail of the brow. Then starting from the arch, I draw a straight line to meet the first line at the tail of the brow. These two lines help to frame your eyebrow. After that, I also draw a line at the top of the brow to the arch to complete the outline. I then fill in the entire eyebrow except the front. 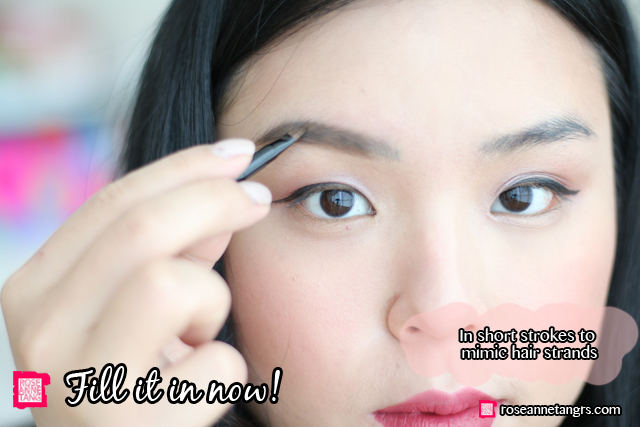 Be careful of clumps of hair, put more brow powder in places that need it more. 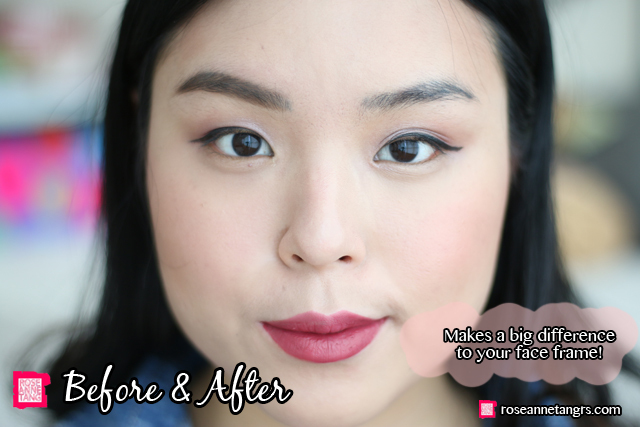 Next, apply just a little of the powder at the base of the front and use the other end to blend it all out so it looks more seamless. Then you are done! That’s how I do my eyebrows! 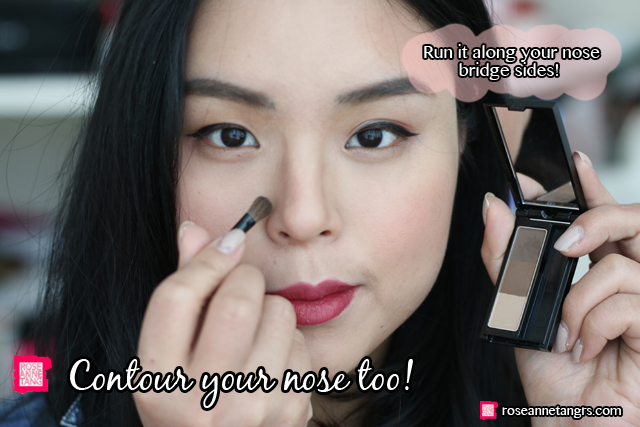 Of course, this is a multi-use product so you can also use the powder as a contouring powder for your nose! 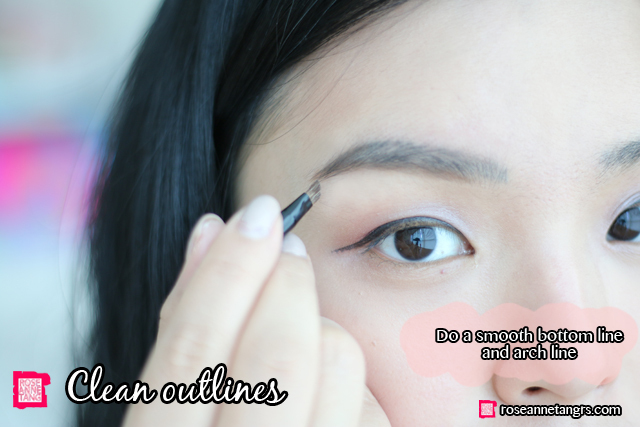 Take the fluffier end of the small brush provided and take some of the dark brown grey color and run it in a back and forth motion along the sides of your nose. Remember to go along the button of the nose as well like this. 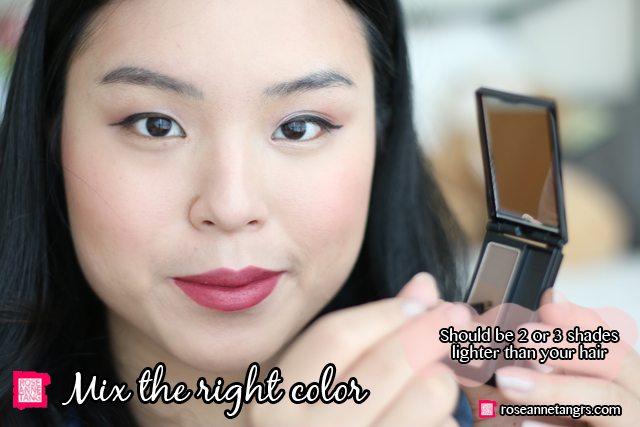 Then use your fingers to blend the line so that the shadow remains but there are no harsh lines. 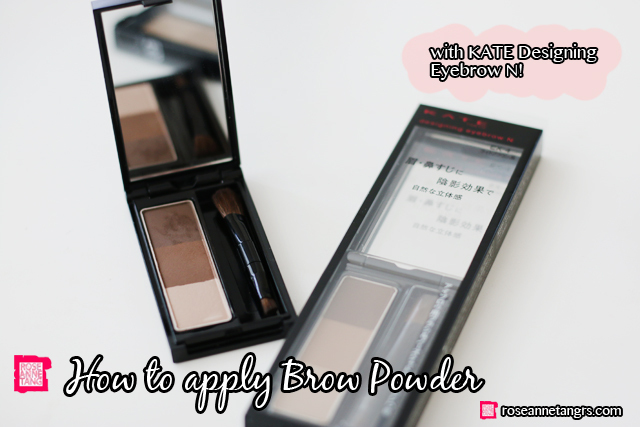 Overall, this is a pretty solid eyebrow powder that blends easily and provides just the right amount of pigmentation. Thank you KATE for sponsoring this post and I hope you were able to take away some great eyebrow tips. 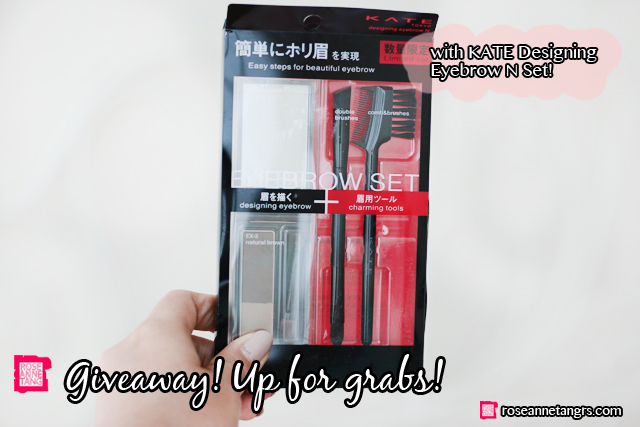 I hope to win this this Limited Edition set with two eyebrow tools and the KATE Eyebrow Designing N brow powder. I am someone who does not draw the eyebrow as I do not know how. With your detailed tutorial, I am ready to give it a try.